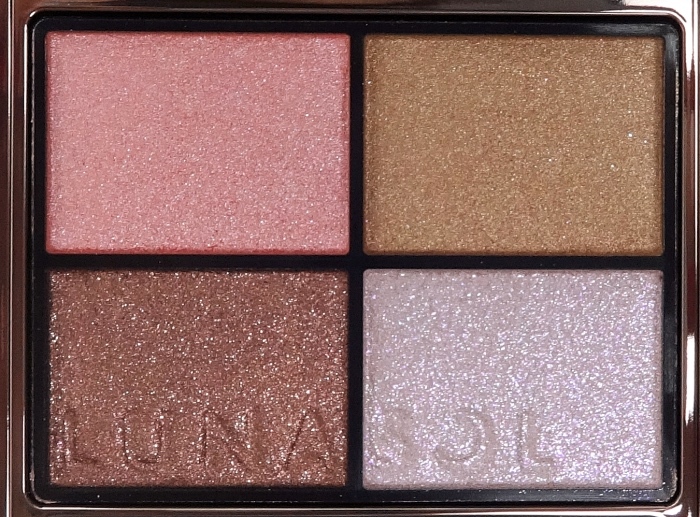 I love all my Lunasol eyeshadow palettes but this one is quite special. 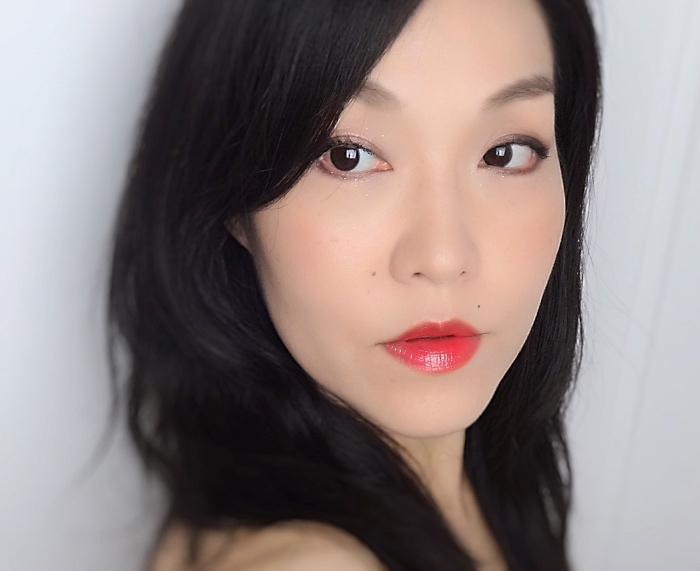 Coral Coral was introduced many years ago and at some point achieved a cult status in the Asian beauty community, too. 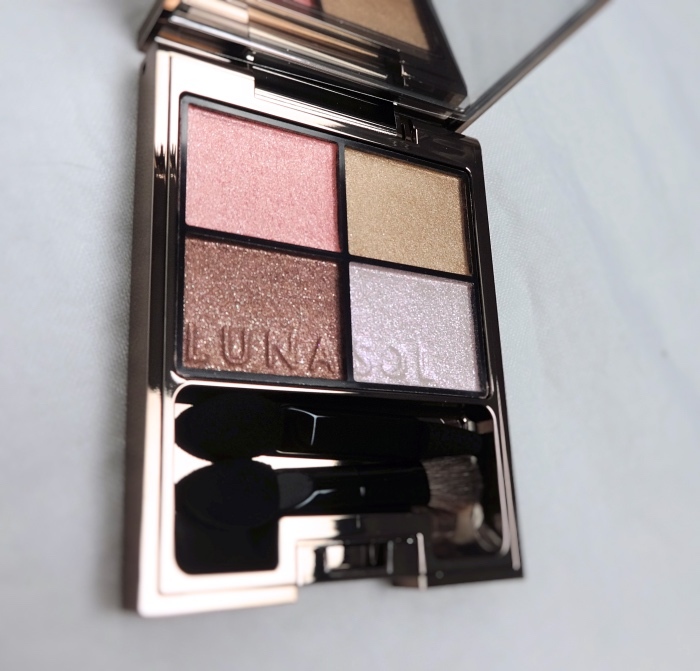 It must be still popular since it is one of the few classic Lunasol palettes that are in production. The quality of Coral Coral is rather excellent - the sheer yet vivid colors stay true and blend like dream. 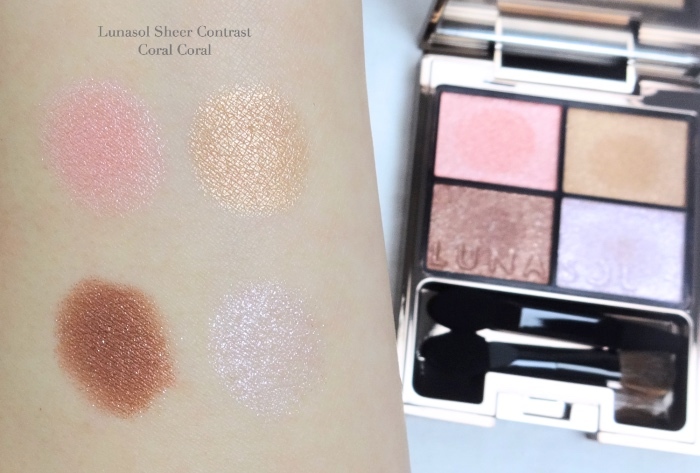 I have swatched Coral Coral next to Beige Beige (another must-have Lunasol palette). Here are a few looks I created with Lunasol Coral Coral. Despite being an oldie, Coral Coral is very much in line with the warm eye makeup trends. 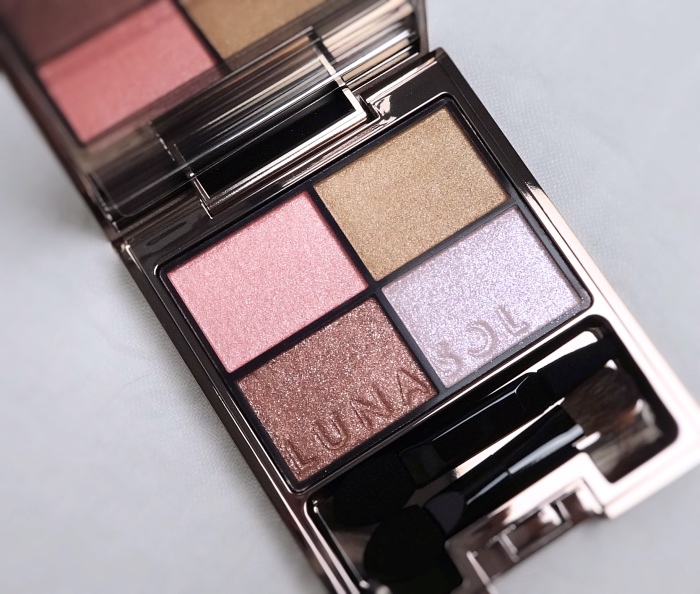 Nowadays Lunasol palettes can be acquired at an affordable price although it is still difficult to test them in person here in the U.S. Well, there are tons of online swatches and I'm adding another here in case you are in the market for warm feminine eyeshadows with pretty shimmer. Thanks for reading. It's been a while. Hope everyone is doing well! For now I need to dig those Lunasol out. 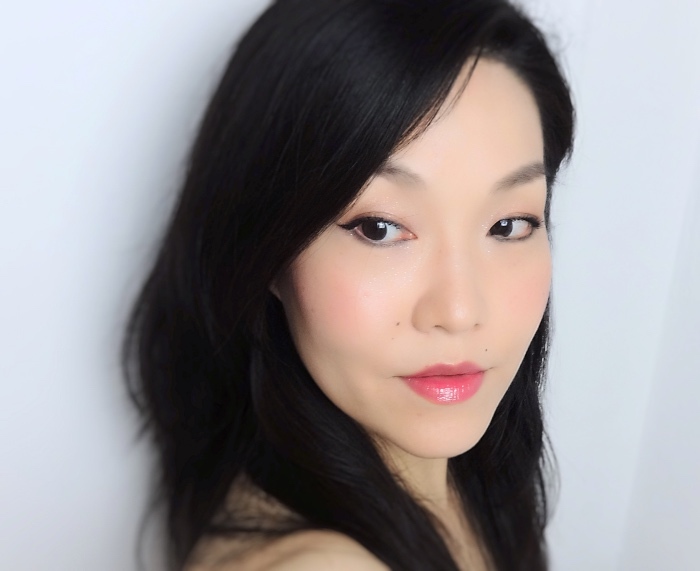 This is such a pretty quad and the looks you created are quite lovely! I can't say I'm in the market for any eyeshadows at the moment as I haven't worn eyeshadow since the holidays ;p Hope life has been treating your well Lena. Have a fantastic week! Hi, Rowena! Hope you well! It's been just busy around here but everything's good. Thanks for asking. Lately I've been skipping eyeshadows and mascara (it was unthinkable before. LOL) quite often, too. I wanna make some efforts to wear my palettes from now on, though.